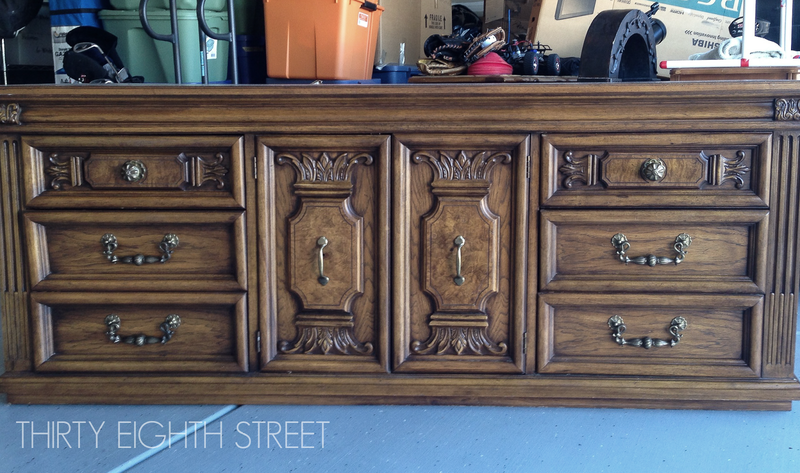 Is an old piece of furniture with missing or mismatched hardware worth purchasing? Yes! 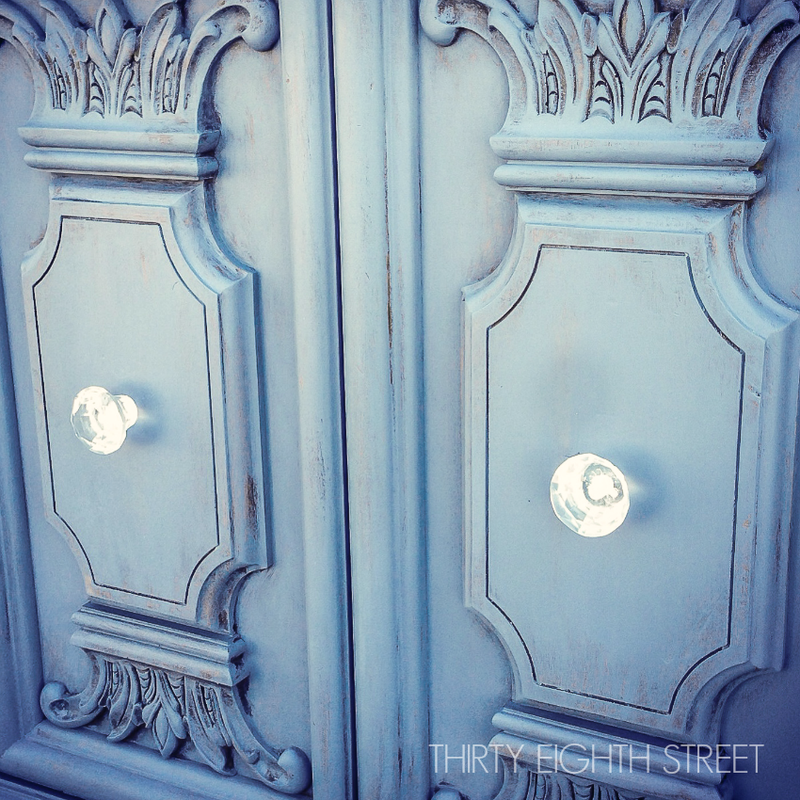 Learn my favorite strategies for updating furniture with mismatched or missing hardware that won't leave you breaking the bank! 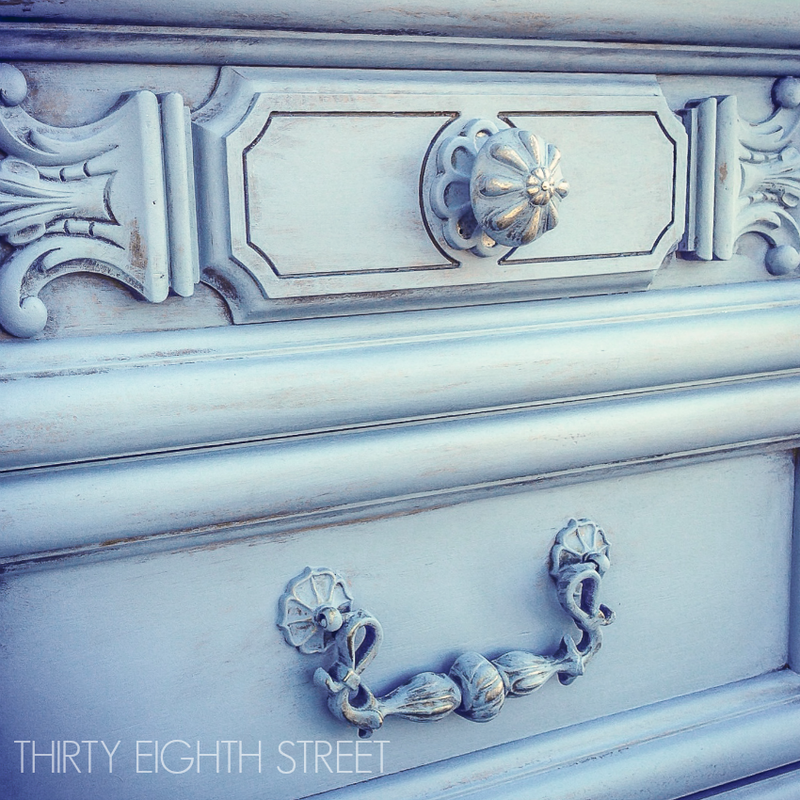 What happens if you find an old piece of furniture with mis-matched hardware? Should you still buy it? For the right price, yes! 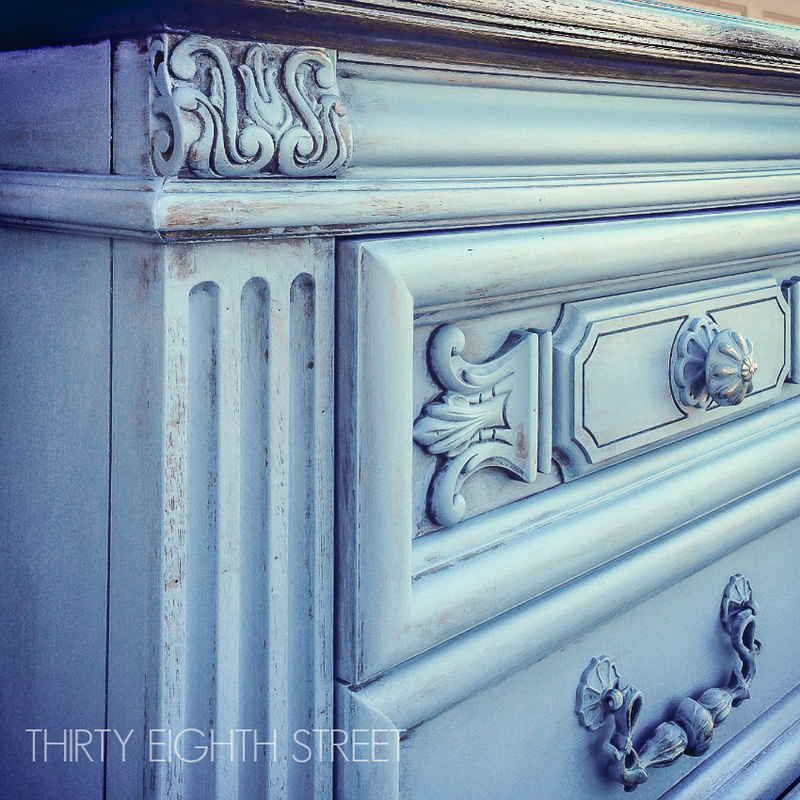 We purchased this dresser from a really nice family. This piece has been in their family for years and was really well taken care of. Somewhere along the way, new handles were put on those two doors. Plain brass handles. It had interesting detail so I overlooked those brass handles. Plus, if you know me, you know knobs and handles are easy fixes. Paint them, replace them... it's not a deal breaker. 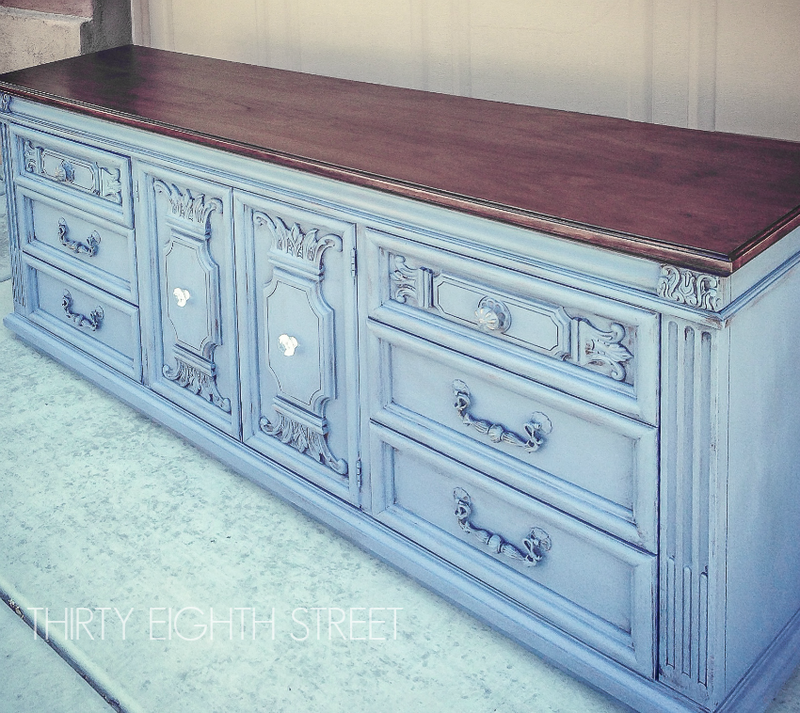 We decided to sand down the top of the buffet and finish it in a dark Kona stain. 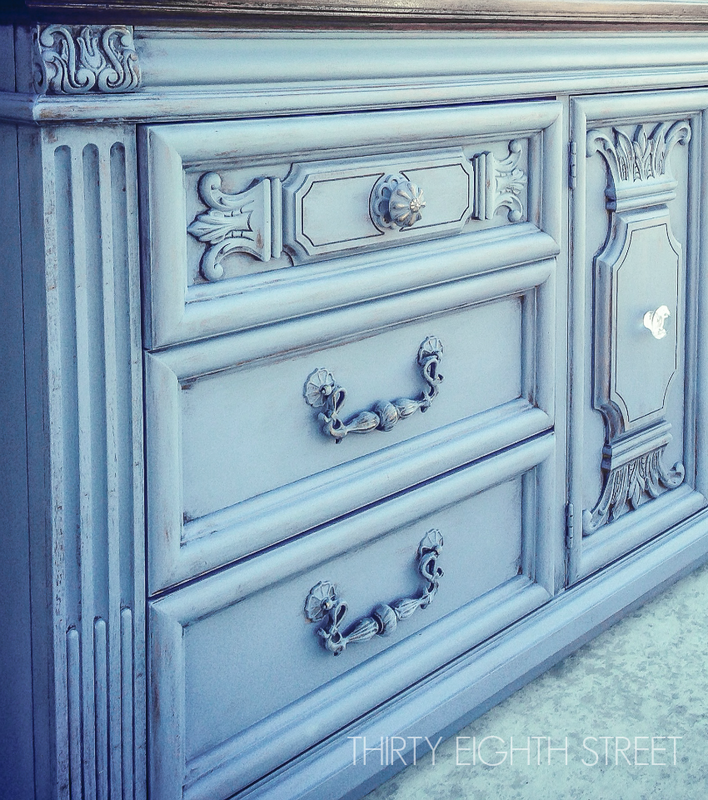 The body of this piece was painted in Chalk Paint® decorative paint by Annie Sloan using 1 part Old Violet, 1 part Pure White & 1 part, Duck Egg Blue and then using Clear and Dark Wax. This piece is going into a dining room where many Thanksgiving & Christmas meals will be served and enjoyed by a darling family in Phoenix.